Can a computer advise you on style? I can advise you on style. Like many style advisors I have been trained in how to analyse the shapes and styles that best suit individual men and women. But my time is relatively expensive and not everyone wants a personal consultation. Wouldn’t it be great if a computer could tell you what would suit you to make shopping easier, more reliable and economical? I have been thinking about how some of the knowledge I have could be translated into a computer programme, and have considered producing an app. But it is fiendishly complicated! Although there are some very clear and scientifically based rules about Men and Women’s style, wardrobe personality and colour, individual quirks are as important. Lots of smaller issues arise which a programme cannot deal with – a high or low bust, a long neck, sloping shoulders; a strong view on certain items (eg “I would never wear a mini skirt/shorts/a low cut top/flat shoes” etc); the precise fit of a garment; and fashion preferences for example. So, having critiqued the Boots No 7 colour analysis tool, I decide to try Marks and Spencer’s online Style Advisor. The website features a comprehensive programme, asking you your to determine your colouring and basic body shape, your age, which bits you like and dislike and how confident you are in dressing. It also tries to work out what sort of clothes you like and dislike by giving you some fairly generic shapes. I was tempted to say I disliked them all, but ticked the shapes I prefered. So what did the site come up with for me? Three pages of clothes from their current range, in the size that I had specified. I was surprised to see one dress I had actually tried on in the shop, finding of course that the top was too big and the hips too small. So, while I had told the site that I was “pear shaped” it still showed me an item that would work better on someone with a straight body shape. The virtual Style Advisor suggested billowing tops and a kaftan (pul..ease) to even out my larger hips – but I don’t find this a good strategy. If I wear baggy or floaty type tops I feel they make me look bigger, so I tend to wear neater, tailored T shirts and jumpers. The colours were fairly dire too – lots of black (I said I was fair, with grey hair and blue eyes). I ticked pink, red, blue, turquoise and green as my favourite colours. However despite me not ticking orange, black or beige I was offered this. Had I been asked I would also expressed an aversion to mullet hems and ombre looks. Finally, despite it asking me to declare my age, it offered me three bridesmaid dresses! Has anyone else ever tried this or similar programmes? What did you think? No, I haven’t tried this but I might give it a go to see how it works. 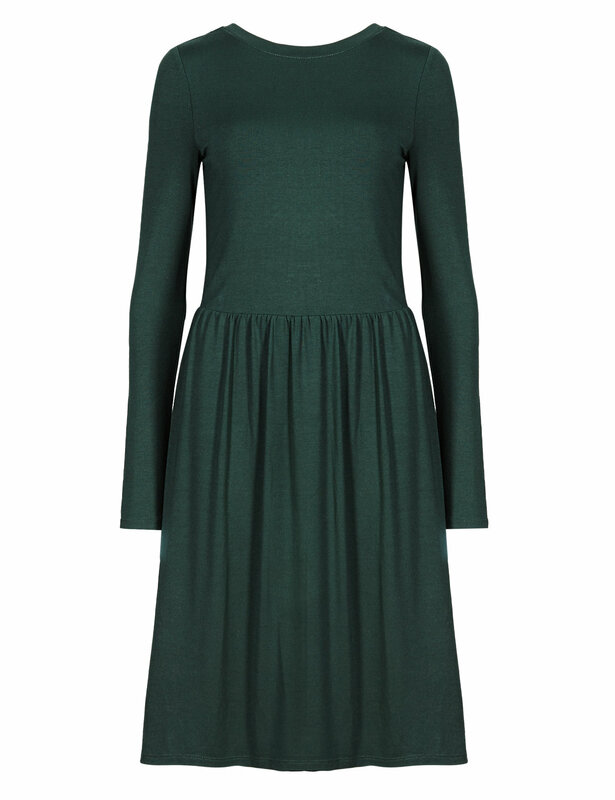 I find it difficult to buy in M&S though (that’s not confined to there of course) as for me, dress and trouser hem lengths and sleeves are too short and I’m a marked pear, so skirt waists are too large when hip fits then there are more specific height issues (eg crotch length and depth) . Many of their clothes are too young for me – and many seem too old! It’s perhaps just as well I’m on an RTW fast! I have bought Wild Ginger’s style program which fits in with Boutique and gives you suggestions based on the shape you are doing pattern for – I will try it out over the next few weeks and review. I would be interested to know what you think about these programmes, Anne. I used to buy cotton jumpers from M&S in the early 90s but have only bought a couple of items of clothing from them since. (I get the kids’ clothes there quite often). I so wish this store to be successful – it is a British institution after all – but I can’t get over that awful advertising campaign a few years ago when they picked what were surely some of the world’s most beautiful women, put M&S clothes on them and, with no irony intended, made them look bloody awful. I’ll give this a go but like you, they should re-think the bit that suggests billowy tops for pear shapes… no way! Thanks for the link. It was quick and fun. Hmm, in that dress, on the beach, you would be in danger of someone sitting on you! I have tried the link and while it works all the way down to the weight section, then the “next” button is missing and the form cannot continue…hoping to try later, maybe it is having problems just now. My husband still buys shirts and pajamas from M&S online while living in the Pacific Northwest. 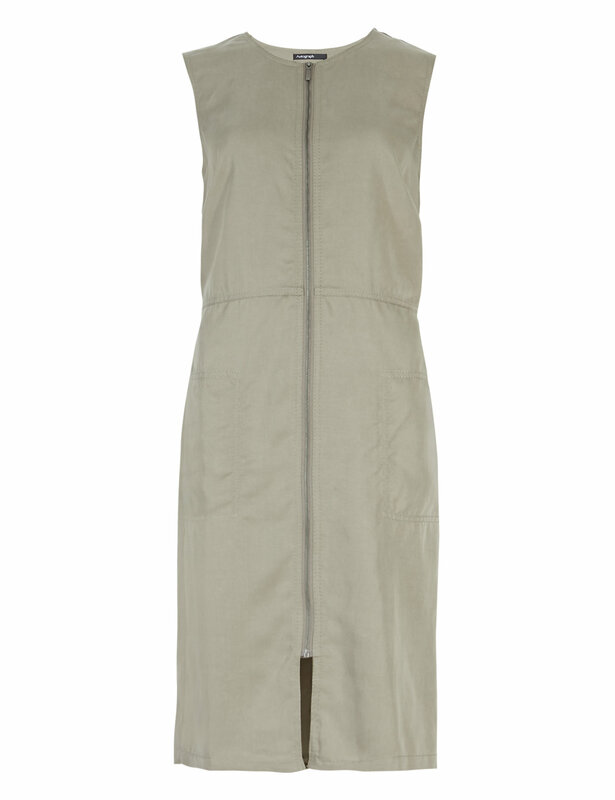 Does anyone look good in a plain khaki bag dress with a center zipper? Well, it was interesting but ‘mumsy’, I wouldn’t buy any of their suggestions. 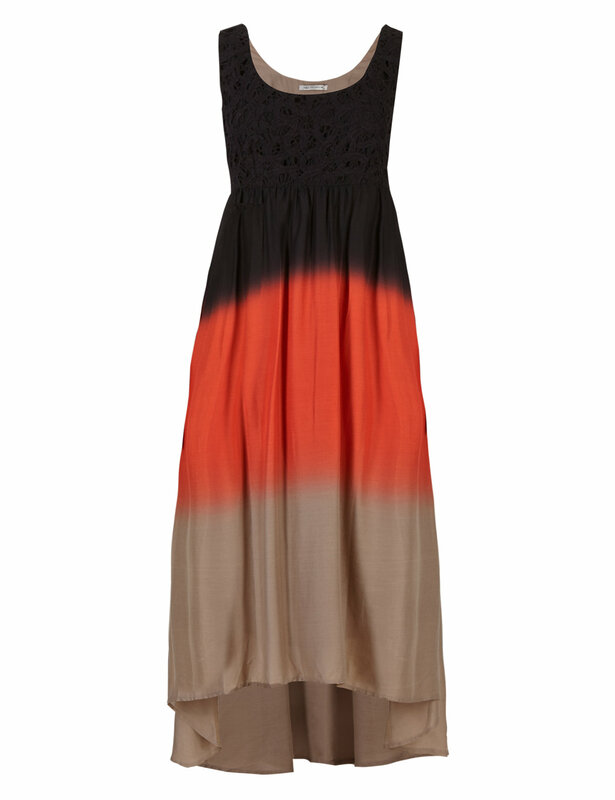 The last thing I bought from M&S was a dress from the Indigo range, a short, sort of boho looking, drop waist cotton dress in purple/orange/ green Aztec like pattern. It sounds bad but looks great. I think that range may be geared toward a younger demographic than I, I didn’t see any Indigo suggestions for me. I think I’ve been insulted. I can see the benefit of this programme, but M & S firstly needs to sort out its merchandise. I still think there are many items in their stores worth buying, but it is depressing seeing such an awful lot of hideous garments amongst the gems. Like many people in the UK I have a fondness of the company and would like to see them do well, but find it frustrating that they try to be all things to all people. So many ranges – it just doesn’t work.